I spoke many times about diets and which ones are good or bad for your body. I’m not an adept of rapid weight loss, and after a long time of trials and errors, I find out that a plant-based diet is what suits me well. 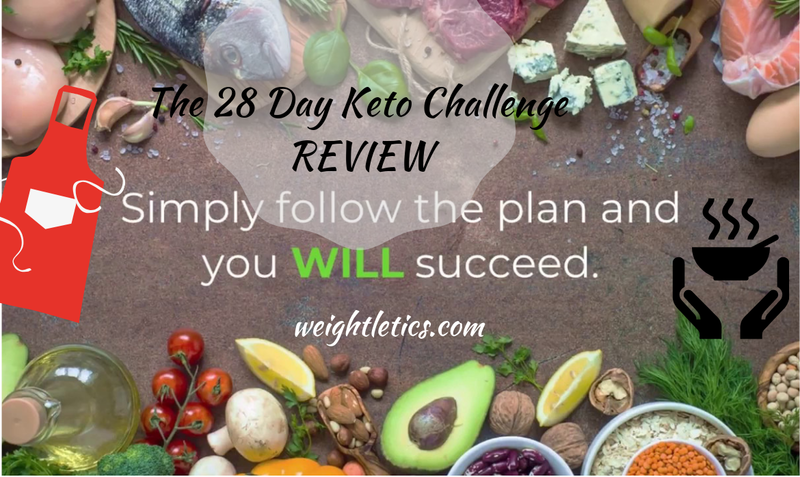 Many friends and acquaintances are talking about Keto diet and myself I wrote about ketosis, and today I will talk about keto and present you the 28-day keto challenge review program. The 28-day challenge is a step-by-step plan which comes with a 28-day meal plan which includes 7 guides to help you start the keto diet for the first month. As the name suggests, this is not just a plan but a challenge which comes whit all you need to succeed the 28 days. You can lose from 2 to 5 kilograms in the first week up to 10 kilograms over the program. The structure is very easy to follow, and it’s not complicated as you probably think or if you compare it with other diets. All the materials are digitally delivered, and you can start your challenge in minutes, no need to wait days for delivery. 28 Day Keto Challenge gives everything you need to do, not only start with what to eat but also guide you on how to understand the basic science behind the keto diet. There are also easy recipes that you can incorporate in your daily life. You will get 7 guide books with the challenge to help you get started. Each guide covers in detail a different aspect of the diet. This is the first book to read when start whit this diet program. From this guide, you will learn the basics of the keto diet, how was developed, how it works, what to expect from the dietary program and the benefits you will get. A ‘Keto food pyramid’ with shopping list is also available in the first guide. To get the best out of this guide, 13 tips to increase your chances of success, foods to can enjoy, and food to avoid are available for you. This is the second guide which will give you meal plans and tips for your 28-day challenge. The guide includes 10 breakfast recipes, 14 lunch recipes, and 14 dinner recipes. You will get all you need to create your daily meals. For dealing with your cravings, the guide includes snack options and tips on how to deal with cravings. To make the program easy to follow, a 28-day meal plan calendar is included which guides you what to eat during the 28-day challenge. For your convenience, all the meals are on the calendar. The third guide, Tips for staying in ketosis focuses on what ketosis is and what changes will appear in your body when you enter in ketosis. You will learn how to make the transition to ketosis, how to know if you are in ketosis and how to make the out transition. With the right information provided by this guide, you will overcome any obstacle that may arise. The fourth guide, ‘Knowing your macros’ will give you a lot of information on how much fat, proteins, and carbs you shall eat daily. From this guide, you will learn you how to calculate your macronutrients and how to avoid the hidden carbs. The fifth guide, the Keto flu is another helpful guide. You will learn how to minimize the symptoms that affect some people during the challenge and how to make the experience more comfortable to overcome following the advice provided in this guide. The sixth guide, intermittent fasting will teach you the benefits that you can get for your health. You will learn about 5 different intermittent fasting styles, and you can try because they will work well. The seventh and the last guide will teach you how to deal with the social pressure from your friends and family. The guide provides a useful chart with tips on how to resist the ‘innocent’ temptations when eating out, like drinking alcohol and eating non-healthy foods. – Weight loss – this program does not only teach you to eat a healthy diet but also helps you to lose weight. To make it more enjoyable and easy to go through the 28 days, the program is coming with 3 bonuses. Yes, you can enjoy low-carb treats while following the program. The desserts cookbook contains 36 recipes, and it will teach you how to prepare delicious desserts at home and stay in ketosis. I absolutely love avocados, and they are the key ingredient in keto diet because they are nutritious and full of healthy fats. In this book, you will discover 5 ways how to prepare avocados. This guide contains a list of 12 best Keto supplements which will help the transition into ketosis and making the dietary program more efficient. The cheapest place to buy is the official website, and it costs only $37 with 60-days money back guarantee. If you are not happy with the results, you will get the full refund. The website accepts credit card payments (MasterCard and Visa) and PayPal. If you search what customers are saying about the program, you will find positive feedback. The customers are happy with the guides structure, useful information, and well-researched materials. Many talks about how they understand the basics of the keto diet and how easy it is to start the program. Other customers talk about the recipes, how easy they are and how delicious. It is a simple program that works for many people who try it and easy compared with other programs. The 28-day challenge is easy to follow, a dietary plan with great results. If you want to eat healthier, lose weight and get thinner, this program is for you. By following the plan for only 28 days, you will change your health in the long run. The program is coming with 7 useful guides, the basis of the keto diet, eating meal-plan, ketosis tips, macronutrients, how to overcome the keto flu, intermittent fasting and dealing with social pressure. With the 28-day meal-plan, the 7 guides and not the mention the 3 bonuses, you are prepared to start the first day of your healthy life. Many happy customers have lost weight following the program and have improved their health. With a price of $37 why not to try. If you are not getting the results you are expecting, you have 60-days money back guarantee, and you will be fully refunded.